The doctor will see you now, on your smartphone. Have a cough, sore throat, rash or sinus infection and don’t want to drive to an urgent care clinic? Now, many New Mexicans can set up a “video visit” by computer or cellphone with a health care provider, such as a physician or a nurse practitioner. Presbyterian Healthcare Services launched the new video visit service last month that allows its 440,000 health plan members to schedule the online visits, which are free for most plan members. Presbyterian contracted with an Arizona-based firm, MeMD, to provide the service, which puts patients in voice and video contact with a nationwide network of physicians. A video visit could put you in contact with Dr. Pavel Conovalciuc, a physician in Spokane, Wash., who works under contract with MeMD. “Just to make sure you’re not in any distress, do you have any episodes where you feel winded or wheezy?” Conovalciuc asked a Journal reporter who played the role of a patient in a recent simulated video visit. After a discussion of symptoms, Conovalciuc recommended a treatment that included hydration, vaporizer use, a nasal rinse and over-the-counter medications. He did not prescribe any medications. But because Conovalciuc is licensed to practice medicine in New Mexico, he has prescriptive authority here. Prescriptions are sent electronically to the patient’s preferred pharmacy. MeMD providers are barred from prescribing controlled substances or narcotic painkillers. Conovalciuc said he treats about 50 patients a day by video for MeMD. 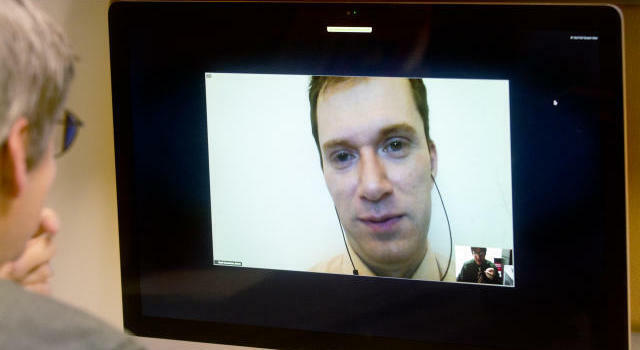 Telemedicine is a growing and lucrative part of his practice, said Conovalciuc, 39, who holds medical licenses in 10 states and practices from his home in Spokane. “Telemedicine has been going viral,” he said. Patients with colds, respiratory infections, pink eye, even back strain find it convenient to visit a doctor via computer, tablet or cellphone, he said. The service is intended to free up capacity at urgent care clinics and to provide a fast, convenient way for patients to get professional advice for simple medical problems, Presbyterian officials said. 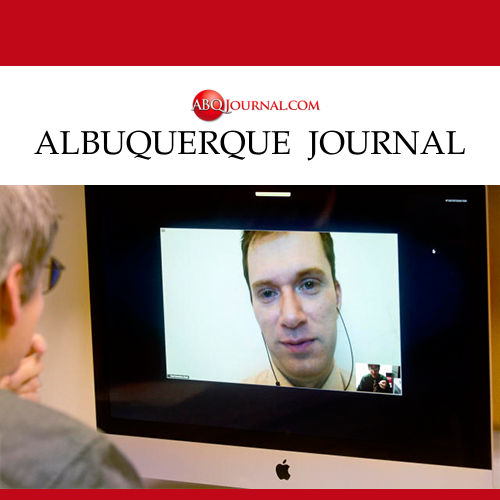 Presbyterian is the first New Mexico medical system to offer video visits to its health plan members.